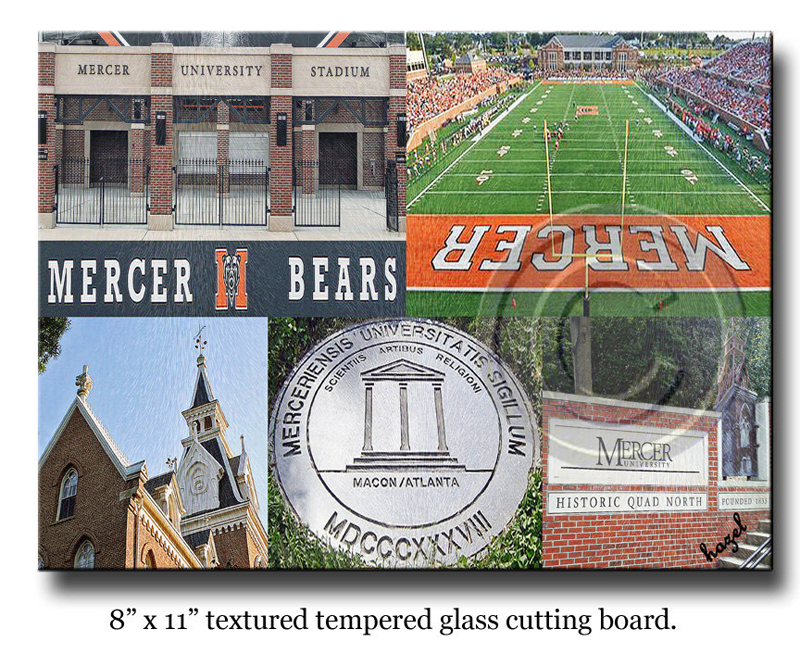 Mercer University Glass Cutting Board. Spice up your kitchen with this high quality, tempered glass cutting board. All images are from my collection of photographs. 8" x 11" textured, tempered glass. � WILL NOT APPEAR ON CUTTING BOARD. Original Design, Copyright Custom Coasters By Hazel LLC.